There’s been an increased recognition in recent years—spurred by movements like #TimesUp and #OscarsSoWhite, and also the real, blood-and-sweat work of actual, non-hashtag human beings—for the importance of diversity and representation in the world of Hollywood blockbusters. The need for non-white men, and women of all backgrounds, to go to the movies on a Friday night and see people who look like them taking center stage on the screen is a powerful one, and one that might finally be making some progress, at least according to a recent CNN Money report. Examining the 12 box office weekends of 2018 to date, the report found that a hearty 11 of them have had been led by films with diverse or female leads. 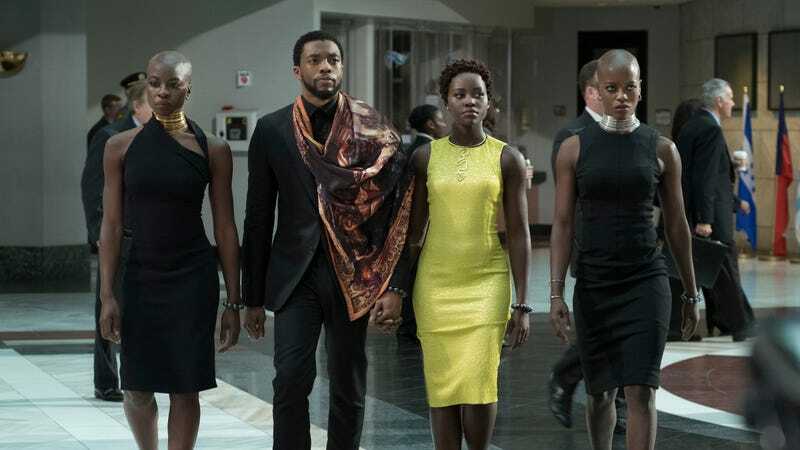 The biggest contributing factor here, of course, is Marvel’s Black Panther, which has brought in roughly a quarter of all movie revenue of 2018, largely on the strength of Ryan Coogler’s vibrant visuals and silky-smooth action sequences, plus a top-notch cast that includes Chadwick Boseman, Michael B. Jordan, Letitia Wright, Danai Gurira, Lupita Nyong’o, and more. Black Panther’s billion-plus intake isn’t the only factor, though. Jumanji: Welcome To The Jungle had a strong run early in the year, while the Dakota Johnson-starring Fifty Shades Freed had a brief stay at the top, and John Boyega’s Pacific Rim: Uprising finally unseated T’Challa from his box office throne this weekend. The only outlier here is the Dylan O’Brien-starring The Maze Runner: The Death Cure, which briefly took the top spot from Jumanji back in January. For comparison, this same 12-week period in 2017 had only five weekends where films with diverse leads (Hidden Figures, Get Out, and Beauty And The Beast) topped the box office charts.